Featured at last Saturday’s tasting, all three wines received a great reception with almost a sell out on the night. 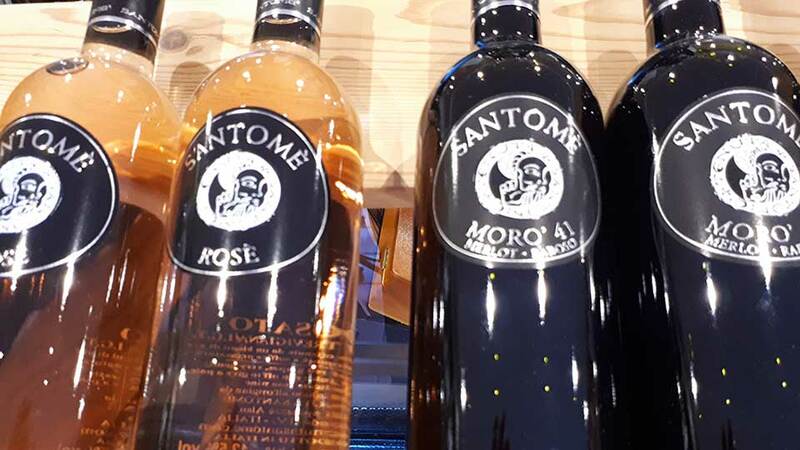 Priced at just £10.95 the wines impressed those at the tasting with the star being the “Santome Anna 6”. However the other 2 were not far behind. A blend of red grapes (Merlot, Syrah, Cabernet Franc & Cabernet Sauvignon), very gently pressed and squeezed to give a pale delicate rose wine. Revealing fresh floral hints of rose & jasmine, but also delicate fruit notes of apple, currant & raspberry. Fresh with a gentle smoothness. A blend of Chardonnay & Riesling with a slightly complex bouquet and fresh vegetable sensations of sage, fig leaves & sweet pepper. This is followed by a delicate mineral & fruity hint of pineapple & citrus fruits, with a light & spicy Mediterranean finish. Fresh, subtle, elegant, delicately gentle & light. A blend of Merlot & Raboso with a young fragrant scent. Red berries together with a delicate floral note. Fresh, soft, light, well balanced with pleasantly dry aftertaste. The finish is persistant with an excellent drinking quality.